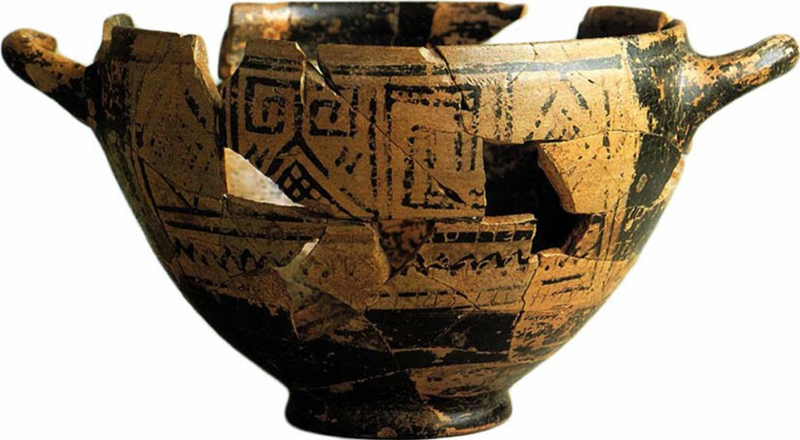 Ideas in Motion is a project that considers the impact of intersecting cultures on modern music and ancient pottery. When cultures collide the impact of their meeting has the potential to extend into all spheres of society; however, it is perhaps most visibly expressed through artistic mediums alongside the evolution and fluidity of language – to incorporate terminology and vocabulary from ‘foreign’ influences is a particularly clear example of this. Like language, music has hallmarks and rubrics which are identifiable as stemming from specific cultural groups. An audience can hear these cultural identifiers within music and recognise them, both consciously and unconsciously, as being distinct, thus facilitating understanding and engagement with the emotional expressions of an alien culture. As music and art transcend borders, it seems essential to understand this engagement when exploring intersections of culture in the ancient world. The obvious problem with this, however, is the fact that most artistic mediums fail to survive in the archaeological and literary records which are currently available to us. How then, given the evidence which is available to us, can we study cultural intersections in the ancient world? In conjunction with Refugee Support Devon, we decided to bring together a relatively diverse group of musicians, ranging in both ethnicity and age in order to explore further such ideas surrounding multicultural agglomeration. These musicians were invited to a jam session at a recording studio on University of Exeter’s Streatham Campus on 4th February 2019, with the aim of attempting to communicate through music. The results of this session, which are available to listen to on YouTube, provided an incredibly insightful perspective and laid the foundations for the ideas outlined in this discussion. Click Ideas in Motion to read the full project report. To listen to the full-length music track click below. Listen below for a 5-minute clip of the track. Written by: Dan Brock and Stan Glendinning.